Through conversations with all kinds of people in a wide range of jobs and industries we take a microscopic look at what it takes to make change. We look at why change is sometimes feared and at other times celebrated, what it takes to have a change-focused mindset and how we can be creating tomorrow’s change today. If you like what you’re hearing, we’d be really grateful if you could take a moment to review the podcast on iTunes. Jo Ellen Caldwell has led a trailblazing career and is currently a Captain and Paramedic with the Phoenix Fire Department. You name it and she’s done it: martial arts, kickboxing, a Doctorate in Physical Therapy, working every position on a fire truck, and so much more. 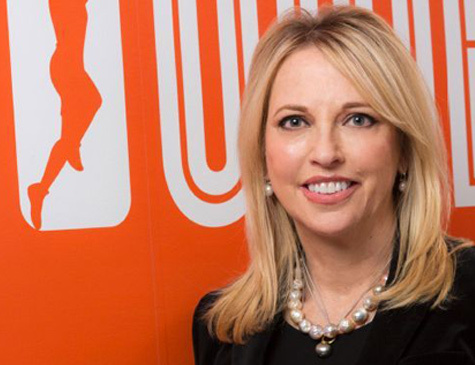 She’s committed to empowering and building up others so they can achieve their goals, and her work has earned her the distinction of being the 2019 YWCA First Responder Honoree. You can learn about Jo Ellen and her incredible journey on the YWCA website. 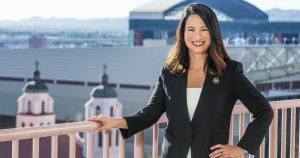 Paula Cullison is the Founder and President of the Arizona Women’s Partnership which awards grants to small charities in AZ that assist underserved women and children. Their amazing work has impacted more than 100,000 women. We talk about advocacy, what she has learned from her travels, and moving ideas into action. Paula is our second incredible guest as we feature YWCA Phoenix Tribute to Leadership Award honorees for the month of April. 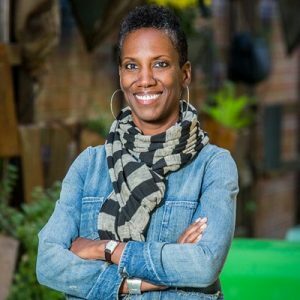 You can learn about Paula and her advocacy to uplift women on the YWCA website. On this month’s Mind Your Business Book Club episode, we’re covering one of the most highly regarded and recommended business books out there: Good to Great by Jim Collins. We dive into the main concepts covered and what we learned about leadership, the application of new technologies, and the importance of maintaining hope while facing harsh realities. We’re excited to feature interviews with the recipients of the YWCA Phoenix Tribute to Leadership Awards for the month of April. Our very first guest is Alejandra Gomez, recipient of the 2019 Racial Justice Award. 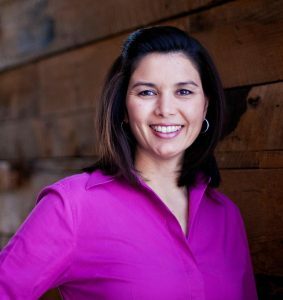 Alejandra is Co-Director of Living United for Change in Arizona (LUChA) – an amazing community organization of families, working together to bring about a more socially and economically just AZ. She shares the story of how she came to her work and the importance of community organizing and advocacy. 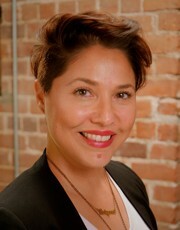 You can learn about Alejandra and her work in advancing racial justice on the YWCA website. We’re excited to feature one of our first guests from Colorado. 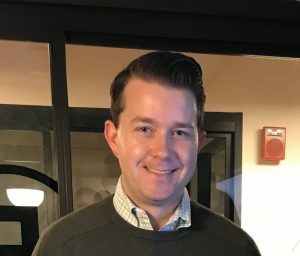 This week Catherine sits down with Juston Cooper, the Deputy Director of the Colorado Criminal Justice Reform Coalition (www.ccjrc.org), to talk about being committed to change, the importance of criminal justice reform, and his work with this incredible group. The CCJRC is a client of ours so we really hope you enjoy this conversation and feel as inspired as we do. This week we’re featuring Rob DuRay. In case you haven’t heard the big news, we’re expanding to Colorado and Rob is our new Vice President of the Colorado Office. On this episode, he’ll be sharing a bit about himself and how he came to Javelina. If you’re in the Denver area, come join us for our launch event on March 27. 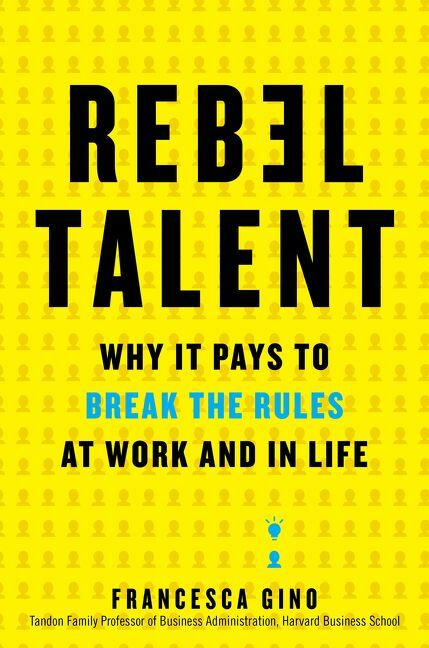 This month’s book is Rebel Talent by Francesca Gino. Catherine Alonzo, Ariel Reyes, and podcast newcomer David Waid sit down for a chat about nonconformity in the workplace and life, and how we all can embrace a bit of rebellion. This week on the podcast we talk with Amy Armstrong, the founder and CEO of Support My Club. Support My Club is a nonprofit organization that gives people opportunities to contribute to their communities by donating to high school clubs and teams. Their mission is to provide a convenient, specific and efficient way for individuals to support out of classroom education.This week on the podcast Catherine, Ariel and Taylor discuss the recent changes at Javelina. In this episode we say some goodbyes, praise our new office, discuss all our new hiring and even tease a little something special that’s coming up. You won’t want to miss this podcast full of twists and turns. This week on the podcast Catherine, Ariel and Taylor discuss the recent changes at Javelina. In this episode we say some goodbyes, praise our new office, discuss all our new hiring and even tease a little something special that’s coming up. You won’t want to miss this podcast full of twists and turns. Saving the world – one business at a time. This week on the podcast we talk with Brian Mohr. 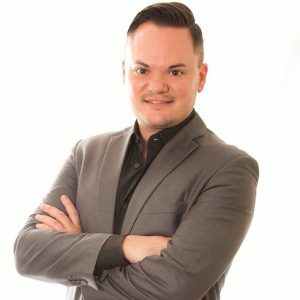 Brian is the President of the Arizona Chapter of Conscious Capitalism and Co-Founder of Y Scouts. 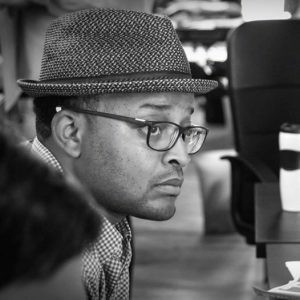 In April of 2000, he became a founding member of a job board called Jobing.com and over an 11 year period, he helped build the company from 5 employees and a few thousand dollars in revenue to nearly 400 employees and $38M. Conscious Capitalism is a way of thinking that focuses on the potential businesses have in creating a positive impact in the world. It’s a fascinating discussion, and something more people are expecting of companies. Tune in and learn more about how business can be a force for good. This week on the Mind Your Business Bookclub podcast we discuss Thrive: The Third Metric to Redefining Success and Creating a Life of Well-Being, Wisdom, and Wonder by Arianna Huffington. We’ll give you a hint. If you’re only getting 5 hours of sleep – you’re not thriving. Join us as we talk about what it means to thrive, how to find wonder in your life and why success is more than just money. This week on the podcast we talk with Patti Russo, a longtime advocate and fighter for women’s rights. Patti is currently the Executive Director of the Women’s Campaign School at Yale University, where she trains and prepares women to run for public office. We discuss the barriers to achieving gender parity in politics and her work to bridge the gap. You won’t want to miss this conversation with a true change-engineer. Patti has led an incredible career and has a fierce passion for what she does. Applications for the the WCS Yale Summer Session are due by April 15th, so be sure to check it out if you or someone you know is gearing up to run for public office. 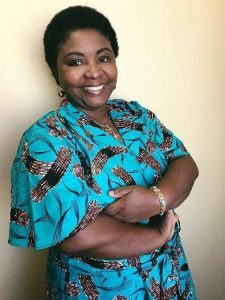 This week on How to Change the World we talk with Jeanne Nizigiyimana, the Co-Founder and Program Manager of Refugee Women’s Health Clinic center at Maricopa Integrated Health System. Jeanne opens up to us about her own experience as a refugee and her journey to safety. She shares what it means to be a refugee and the knowledge that everyone should have about refugees’ role in society. This week on the podcast we talk with Marcus Ferrell, a man with a storied political career and a burning passion for criminal justice reform and equality. 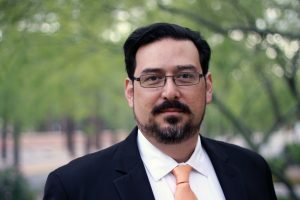 Marcus has worked as a consultant for the Bernie Sanders’ 2016 presidential race, David Garcia’s gubernatorial campaign in 2018, and Adrian Fontes’ run for Maricopa County Recorder in 2016. We also talk race, racism, and Arizona. You won’t want to miss this conversation with a true change engineer. The Lean Startup by Eric Ries takes the lean manufacturing framework and applies it to anyone launching a new product or service in a world of uncertainty. Yeah, so that’s all of us then. It’s one of the first books we’ve all liked – you won’t want to miss this one. And Catherine questions her British-ness after a failed Harry Potter reference. It’s that time of year when the gym is packed, todo lists are long and aspirations are realized – er, attempted. This week on the podcast, Catherine talks with some of the Javelina Herd about their personal goals for the year. We have perspectives from the all-time goal keeper, the sometimes-I-get-things-done goal setter and the goal averse. Tune in and share your own 2019 goals with us on Facebook. We wouldn’t be ringing in the New Year right without bringing you a special episode. 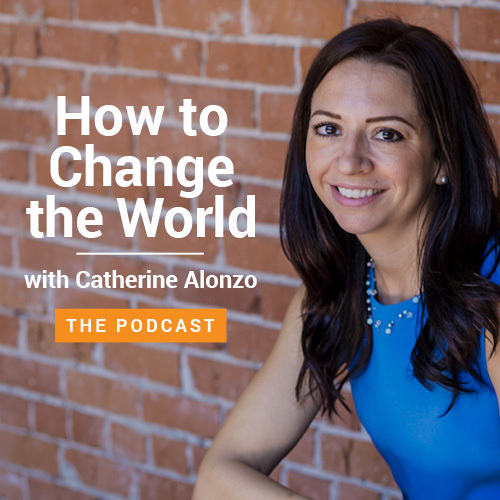 That’s why today we’re highlighting clips from four episodes as Catherine Alonzo reflects on the lessons she’s learned through these interviews in 2018. It’s almost been a year since we launched the podcast, and it’s been incredible connecting with change-engineers from around the country and across the pond. We hope you’ve enjoyed the journey and we’re looking forward to sharing more stories of change! Our first podcast episode was also our most popular to date. In case you missed it or want to give another listen, we’re sharing it again. Jeannette Maré is the founder and Executive Director of Ben’s Bells, a nonprofit working to make the world a kinder place. In this conversation, she explains how kindness helped her through the darkest time of her life. If you’re familiar with the work of Ben’s Bells, it should come as no surprise that kindness came out on top. A lot happened this year. Let’s take a closer look. 2018 has been a long year… like, you-probably-don’t-remember-the-2018-Winter-Olympics-happened-this-February long. In this episode, our team boils the year down to its most important happenings. Women and Equality: Strides made this year and progress yet to come. The Royal Wedding: Why it was more than a spectacle. The Climate: This year’s weather and what is means for the future of humanity. All are welcome at our table, so sit with us and listen in! It’s time for another Mind Your Business Book Club review! Do you make New Year resolutions? How often do you follow through on them? This week in the Mind Your Business Bookclub podcast, we look at a book that aims to help you grow in all aspects of life – and keep those pesky resolutions. Your Best Year Ever by Michael Hyatt is a 5 step approach for achieving your most import goals in life – at least that’s what the book jacket says. Join us on our journey to see if this book can help us achieve our dreams! Growing a company is full of change. Growing a company to 500+ employees in 10 years is full of constant change. WebPT set out to change the way physical therapists file their paperwork and in the process built a company that’s made the fastest growing businesses list 6 times between Inc., Forbes, and Deloitte. Last week, we sat down with WebPT President and Co-Founder Heidi Jannenga. We talk about how a college basketball injury led her to physical therapy and how she has revolutionized the industry since. Most people dread laundry day, it’s a tedious task, but what if laundry day was filled with music, books and games? 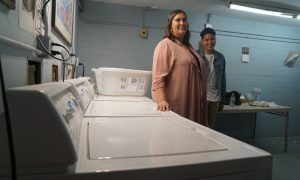 Laundromats are often overlooked spaces with so much to offer, but this week’s guest knows how to shake things up and change the status quo. She believes in the restoration of community kinship and that warm, post-dryer feeling of new beginnings. Our incredible guest is Christy Moore, owner and founder of Social Spin, a local laundromat and community space. We discuss the importance of providing a safe and clean place for the community to come together. Who knew laundry talk could be so much fun! This week on How To Change the World, we’ve got a very special interview in store. 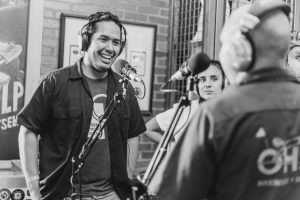 We sat down with Jose Acevedo, the Host and Founder of the Finding Arizona Podcast: a weekly podcast that interviews local business owners. We discuss his story growing up on the Hopi reservation, the amazing community we have right in our backyard, and podcasts as a medium for sharing incredible stories. We suggest cleaning your ears for this one, you don’t want to miss a thing! Ever wonder why people respond differently to requests? One person will immediately do something – no questions asked, and another person might just downright refuse for seemingly no reason. Frustrating, right? Well, this week we’re reviewing The Four Tendencies by Gretchen Rubin, which will take away a bit of the mystery behind why we behave the way we do. It all comes down to how people respond to expectations. People are either an Upholder, Obliger, Questioner, or Rebel. Take the quiz to find out what you are, then tune on in to find out how this book changed the way we work and understand each other at Javelina. Adrian Fontes - Have you voted? Election day is here and what better way to change the world than to participate and vote! It’s only right that for this big day we talked to Maricopa County Recorder Adrian Fontes. He understands the importance of participating in elections and knows not to underestimate the power of voters. On this week’s episode of How to Change the World, we talk about the power of a single vote in making change, how an Election Day disaster changed Adrian’s life, and the importance of understanding where you’re at if you want to change it. Lots of voting. Lots of change. When you think of health, what do you picture? A hospital? A doctor? This week on How to Change the World we’re out to change your perception on what it really means to be “healthy”. 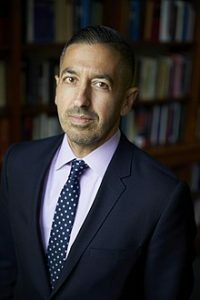 We sit down with Dr. Sandro Galea, dean and professor at the Boston University School of Public Health, to talk about what it means to be healthy. Dr. Galea, one of Time Magazine’s top scientific minds, brings together the social, economic and environmental conditions that lead to health in our conversation and in his new book Well: What we need to talk about when we talk about health. 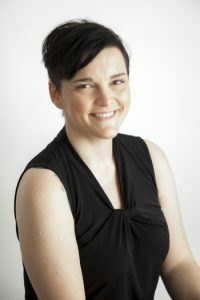 Megan Finnerty - Are you a teller of stories? Here at Javelina, we understand the importance of storytelling. No two stories are the same, and we know they have the power to bring communities together. Having your words come to life to inspire change is a beautiful thing. 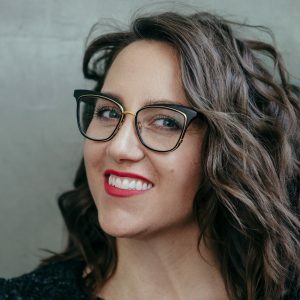 On this week’s podcast, Megan Finnerty, Director of Storytellers Brand Studio, shares the art of storytelling and how it can deepen our connection to the world around us. Stories are more than just words. Tune in to find out how to tell your tale! Mike Mallozzi - Here's to you change-engineer. At Javelina, we believe business is about so much more than profits. This week’s podcast guest agrees with us too. He’s a biologist, a brewer, and a true change-engineer. Mike Mallozzi sits down to talk with us about what it takes to truly be a part of a community. 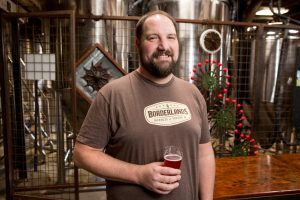 Mike’s brewery, Borderlands Brewing Company, is more than just a place to get a pint – it’s an engine for change. Cheers to that! Catherine talks about yelling CHANGE in an elevator, Ariel defines “Carfax” and Taylor sets out to fill empty chairs. This month’s Mind Your Business Bookclub book is To Sell is Human by Daniel H. Pink. We won’t try and sell you on this episode but we can tell you it’s definitely worth a listen. Confused? 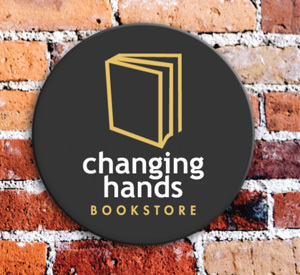 Javelina now hosts a book club with our partner Changing Hands Bookstore. The book club is on the second Monday of every month. So, we figured on every second Tuesday, we’d bring you an extra special podcast version with our CEO Catherine Alonzo, Marketing Associate Taylor Flamini, and Client Manager Ariel Reyes. This week on How to Change the World we’re making history. For the first time in Javelina podcasting history (ahem, nine months), we sit down with one of our first interviewees to check in on the change. Carlos Terrazas updates us on how things are going and his big plans to head over to the United Kingdom and advance his education. In case you missed his first appearance, check out Carlos’ interview back in Episode 15. In his original episode, we discussed another major life change: a car accident that left him paralyzed from the chest down at age 19. This week, Catherine sits down with her mum, Christine Macpherson. Christine opens up about the sudden loss of her first child – Catherine’s older brother, Rory. Their conversation is deeply personal and incredibly moving. This episode includes sensitive content that may be difficult for some listeners. 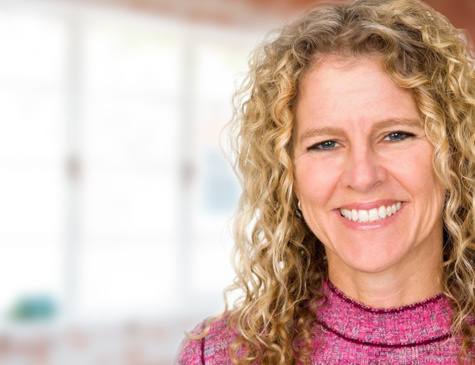 This week we talk with Lauren Stiller Rikleen, President of the Rikleen Institue for Strategic Leadership, about her work creating effective multigenerational teams in the workplace. 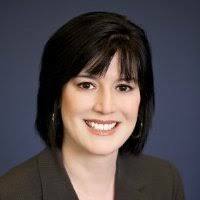 Lauren comes from the legal world, having served as an equity partner practicing environmental law and as the author of several books and more than 175 articles. Lauren shares with us her desire for a kinder world and it’s an episode you don’t want to miss. In case you missed it, Javelina now hosts a book club with our partner Changing Hands Bookstore. The book club is on the second Monday of every month. So, we figured on every second Tuesday, we’d bring you an extra special podcast version with our CEO Catherine Alonzo, Marketing Associate Taylor Flamini, and Client Manager Ariel Reyes. This month we talked about Who: The A Method for Hiring by Geoff Smart and Randy Street. What did we think of it? Well, you’ll have to listen in on the episode to find out. Join us for lots of laughs and some useful change-engineering knowledge along the way. Michele Kalo is the Music Director of the Scottsdale Concert Band at Scottsdale Community College and teaches band at Gilbert Classical Academy. She’s been teaching music for 20 years, and she’s known this was her passion since she was in the 7th grade. We discuss how she was drawn to music, the importance of music in our lives, and how it brings communities together. The day before our interview, the Invest in Education Act was tossed from the Arizona ballot, so this conversation is quite a snapshot in time. 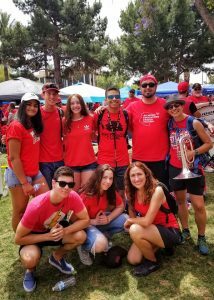 We also talk about the RedforEd movement, her involvement in pulling together the spirit band during the teacher walkouts, and what we were feeling when we got the news about the Invest in Education Act’s fate. 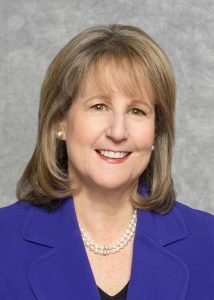 Nancy Feldman - Finding your glass ceiling – and destroying it. 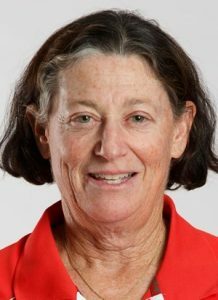 Nancy Feldman is the head coach of Boston University’s Women’s Soccer Team. Entering her 24th season, Nancy has redefined the program, taking it from club level challengers to regional champions. Nancy joins us to not only talk about the sport she loves, but to tell us that it all serves a greater passion – educating and mentoring her team. 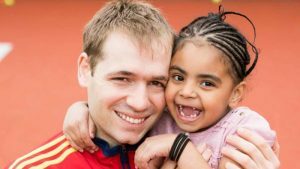 Catherine’s interview with brother Alex Macpherson is episode 11 of How to Change the World. Be cheep now, save for later. 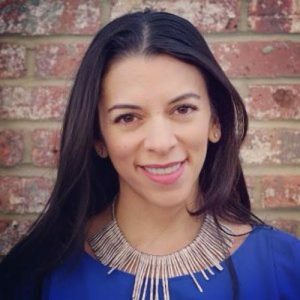 Natasha Lopez-Rodriguez brings the cha-change by helping people escape debt, start businesses and become financially independent. 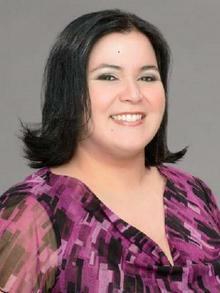 She’s the Financial Education Program Director for YWCA in Phoenix – and she rocks at it. Natasha talks with us about the importance of financial literacy, learning from the past and preparing for success in the future. 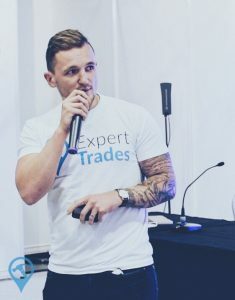 Adam Callow is the Founder and CEO of ExpertTrades. An entrepreneur at heart, Adam has chased his dreams of starting his own company. Adam sits down with us to talk shop, the entrepreneurial spirit and what it takes to forge your own path. Change-engineers will not want to miss out on Adam’s tale of realizing his own strengths and leveraging those into a successful business. In his free time, Adam also has a podcast. Check out his interview with our CEO, Catherine Alonzo, on StartUp Diary. AiVi Nguyen - Law Partner at 31? Boss. 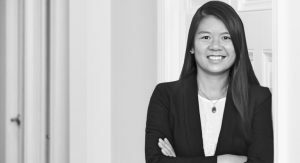 AiVi Nguyen became a partner at Bowditch & Dewey at just 31 – a testament to how intelligent, dedicated, and driven she is. As the daughter of Vietnamese refugees she grew up in public housing and had limited resources. But despite the obstacles, she was driven to reach the Ivy League and pursue a successful law career. We sit down for an inspiring conversation with AiVi to talk about opportunity and how to find and open doors when there’s seemingly none to be found. Jack Wight and Carrie Dougher - Who wouldn't want a little extra change in their pocket? We have a special interview this week featuring two guests: CEO Jack Wight and COO Carrie Dougher of Buyback Boss. They encourage folks who have old iPhones and Samsungs lying around to put them to good use by selling them back through their company, which offers cash payment. The story of Buyback Boss is a fascinating one. Jack started the company out of his Arizona State University dorm room and Carrie lived just next door. Up to his ears in used phones and shipment packaging, Carrie’s top-notch Excel skills added systems and process to a great idea. A few years down the road, Jack’s natural entrepreneurialism and Carrie’s operational prowess have created a rapidly growing company, with a team of eleven and expanding profits. We talk to them about how it all started, the lessons they’ve learned, and what the future holds. Working from home is very fashionable. It wasn’t always that way though. 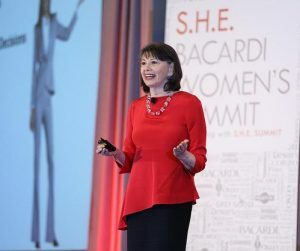 Sherry Michaels started working remotely 30 years ago – before it was a “thing” – and she has been running her own company of work-from-homers for 20 years. Change is coming to the modern workplace and working remotely is on the rise. Learn what it’s really like from a remote work lifer. 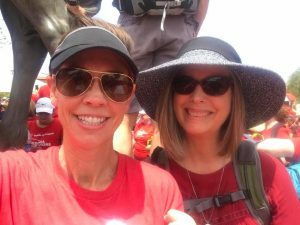 If you’ve been in Arizona or on the internet lately, chances are you’ve heard of the #RedforEd movement for increased public education funding. Support has been posted in business windows, written on vehicles, discussed on national news, worn on shirts, and resulted in a historic teacher walkout across the state. This week, we sit down with one of the people who helped to start it all. 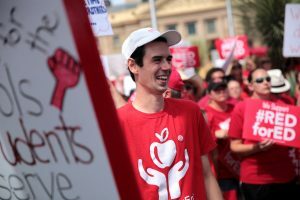 Noah Karvelis co-founded Arizona Educators United and helped spark the #RedforEd movement in Arizona. We discussed the reality for Arizona educators today, how teachers mobilized, and what leading a movement has been like every step of the way. The movement continues. 270,000 signatures were recently submitted to the Arizona Secretary of State to place the Invest in Education Act on the state’s ballot this November. Due to the inaction of the Arizona State Legislature earlier this year, this ballot initiative seeks to raise the revenue necessary to restore some of the $1 billion that has been cut from public schools since 2008. Javelina is excited and honored to be a partner in this effort as the general consultant on the campaign moving forward. Mi-Ai Parrish, former publisher of The Arizona Republic and current professor at ASU’s Walter Cronkite School of Journalism and Mass Communication, joins us to discuss her path from intern to publisher, how she came to trust her instincts, and handling a barrage of death threats after taking a stand for what she believed in. Ellis Palmer, Senior Broadcast Journalist at the BBC, joins the podcast this week. Ellis was born super early, resulting in cerebral palsy. He opens up about growing up, living, and working with a disability. We chat about the changes that would make everyday better – like accessible Tube stations. Get your day on the right track with Ellis’s story. Hanna is the CEO & Founder of Ringmaster, where she works with teams to understand their gifts and maximize their talents. We talk with Hanna about the importance of leaning into your strengths to create lasting and meaningful change – and we also chat about her time in the circus. On June 14, 2017, the Grenfell Tower fire in West London claimed seventy-one lives. It was one of the deadliest fires in Britain over the past century. Sean Mendez has close ties to the community devastated by the fire. He runs Solidarity Sports, a nonprofit that works with at-risk and disadvantaged youth. That night, Sean lost children he worked with and members of their families. Sean talked to us with grace and passion about the devastating impact of the tragedy, fighting for justice for the families affected, and facing the unimaginable. Rick McCartney came out as a gay man at the age of 47 and it changed his life. We talk about his incredible journey – from what it’s like to come out when you have a family to navigating new relationships and the unknown. 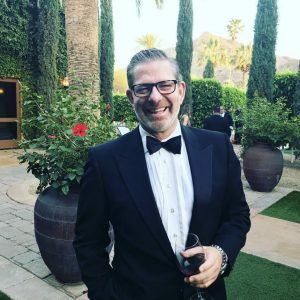 Rick is President and CEO of InMedia, a multimedia development company, so we talk a little business along the way too. 100 years ago, the Dunbar School in Tucson, Arizona opened its doors as a segregated school. It was the only school in the city that served African-American children up until 1951. As you can imagine, it’s a place with a complex history. We dive into that history with Debi Chess Mabie and discuss her work to revitalize the space and elevate the contributions of African-Americans in Tucson. We also discuss her 100-year view, what a legacy means, and how no matter what – our plans are constantly subject to change. Drena discusses her experience living through the war in Kosovo as a teenager, leaving for the United States for her last year of school, and how it shaped her as a person. 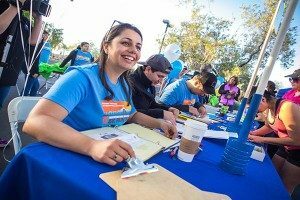 Today, she is the General Manager of the Southwest Region for Lyft and she dives into how she got there, what she loves about her job, the change happening in ridesharing, and how Lyft is providing solutions to community challenges to create opportunity. One of the biggest life changes anyone can experience is becoming justice system-involved. Going through the system means enduring a broken, confusing process that turns lives upside down and changes people forever. Grace Gámez shares with us her personal story of involvement with the criminal justice system, the changes that need to happen to make improvements, and the impact that opening up to share a personal story has on the storyteller. Change is not always for the better. Change is often thought of as a good thing, new human rights protections or funding for education, but what happens when change is forced upon us that we didn’t ask for? Not all change is welcomed. 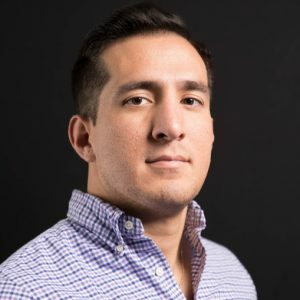 This week on the podcast, Carlos Terrazas talks with us about living with uninvited change when he became paralyzed at 19 years old in a rollover car accident. Hear how he hasn’t let that become a negative point in his life. Tracey Beal and Jill Hicks of School Connect join us and share how they help our schools impact lives and form lasting relationships through partnerships. They tell us about the pivotal moments in their lives, how to ensure every partnership is a win-win situation, and how everyone has something valuable to give – no matter how big or small. 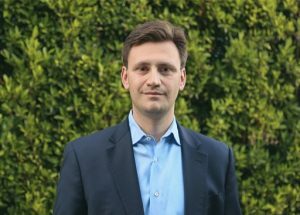 Andrei Cherny has seen, experienced, and been a force for change throughout his life. He joins us to share his remarkable story as a son born to immigrants to working in the White House to starting his own socially-conscious banking and investing company. Nate talks about growing up LGBTQ in a Mormon family and coming out in his twenties. 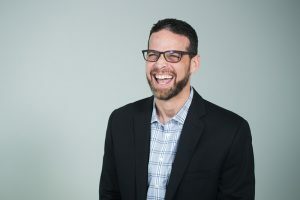 He also shares his story about making the change from a corporate background to leading a nonprofit, what he’s learned from volunteerism, and how he’s gathered mentors to help him in his new leadership role. 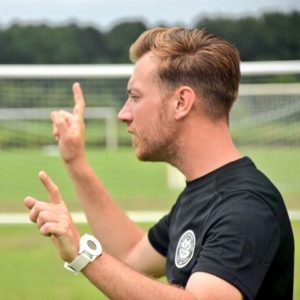 Alex Macpherson, brother of Catherine Alonzo, joins us to talk about the twists, turns and changes he’s encountered from college to his current career. The two siblings also open up about growing up in a grieving family after the tragic loss of their older brother. Janey Pearl Starks discusses change moments in her life that have inspired her to make a positive impact in the world. From her grandfather’s influence, to her immigration at a young age, to the moment she discovered she had a brain tumor – Janey shares the pivotal points in her life that have made her the woman she is today. Ever wondered what role business’ play in social change and how society benefits from innovation? Shane Greer, Co-Owner of Campaigns and Elections shares his thoughts with us. He also discusses the #MeToo movement and how lasting political change might come about. In 2016, Arizonans overwhelmingly voted to increase the minimum wage and provide earned sick time for workers. This week’s episode gives you a behind-the-curtain peek into the story of this historic change. 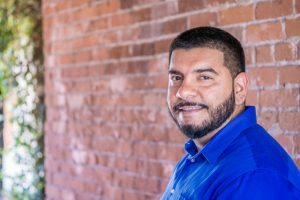 It’s a much more complicated tale than you might expect, and it starts with one man: Tomas Robles, Co-Executive Director of Living United for Change in Arizona (LUCHA). Tomas shares about his background in the military, the challenges he faced growing up, how he got into organizing – and most important – how he overcame doubt and obstacles to realize a vision of change he believes in. The Maricopa County Sheriff’s Office has a long history of drawing national attention and coverage for all the wrong reasons. But in 2016, all that changed. 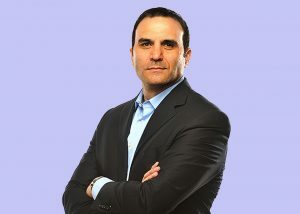 Voters brought in a new sheriff – Paul Penzone. Sheriff Penzone believes in being the change you want to see, so he ran for office to bring change to an office he believed could do better for the communities it serves. He’s been in office a bit over a year now and you can learn how he’s turned the organization around for all the right reasons. Starting and growing a business is tough work. 90% of companies fail within their first five years. But Tanya Alvarez is working to change that. 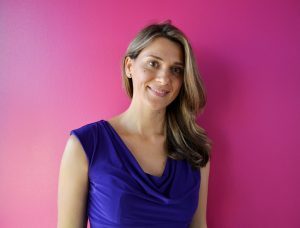 She’s the CEO and Co-Founder of OwnersUp, a place for solopreneurs to team-up, problem solve and supercharge their growth. Hear about the importance of building the right team, connecting to others, and how Tanya relies on teams to do everything in life – including finding her husband. As Assistant Director of Digital Communications, Alicia Maule helps tell the powerful stories of the people The Innocence Project serves. 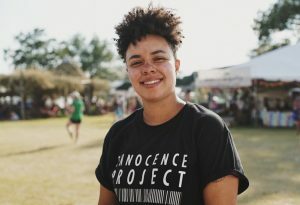 If you’re not familiar with The Innocence Project, it is a national non-profit legal organization that is committed to exonerating wrongly convicted people through DNA testing. We dive into a discussion about the criminal justice system at large and it is such an eye-opening, and important conversation. I’m so grateful for the opportunity to share their work with you. In our personal and professional lives we often encounter all sorts of life-changing challenges that affect the way we move forward. Maricela Solis’ strength and the perseverance of her family in the military with a young son and husband experiencing Post-Traumatic Stress Disorder will inspire you. In the fourth episode of our podcast Maricela and I discuss the way our lives can change forever. In my experience, dream jobs are always unplanned and Anand Varma is no different. As a child, he dreamed of becoming a marine biologist because he was fascinated by fish and other marine species and even went to school for marine biology. And then he kind of accidentally found photography and has built this incredibly fascinating career. 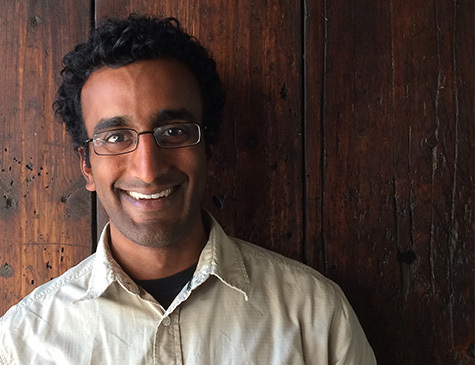 In this interview Anand shares the story of how he came to be a photographer for National Geographic and we talk about his approach to his amazing work. Jay is a personal friend of mine and a professional that I admire so much. I was so honored to sit down with her and talk with her about her career, her job, and what it looks like to create change. Prior to working for the WNBA Jay was the President/CEO of the Arizona Super Bowl host committee. She worked really closely in that role with the NFL and with the local community to execute a record-breaking Super Bowl 49. We discuss her career and she shares some great insights. Jeannette has experienced unimaginable change and she makes huge change every single day. The work of Jeannette and the nonprofit she founded and runs, Ben’s Bells, literally changes people’s lives on a daily basis. She shares the story of her son Ben and how kindness helped her through the darkest period of her life. She’s an incredible human being and you’ll learn how we can all be kinder to one another.